You've decided to buy a treadmill - congratulations! 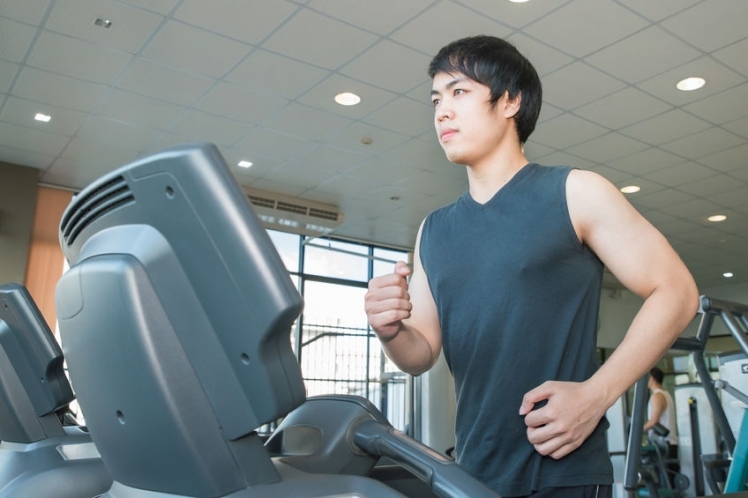 Choosing the right treadmill can be tricky, however, because they aren't all the same. A runner's needs are different from a walker's, and price can also affect your choice. The first consideration in choosing the right treadmill is a highly practical one: you need one that will fit in your home. Consumer Reports recommends that you have at least six feet of open space behind your treadmill and two feet on either side so you can easily access the exercise running machine. Having enough space behind your running exercise equipment also decreases your risk of injury. If you slip and fall, the belt will carry you backwards and could throw you against any objects behind you. 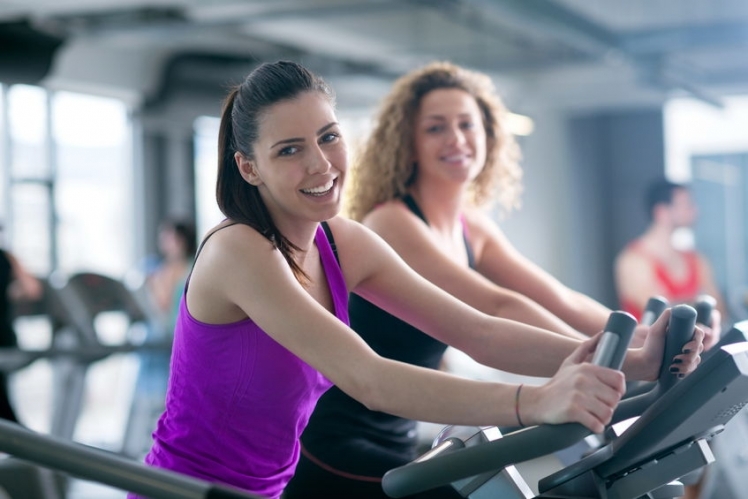 In order to have a safe exercising experience, choose a treadmill that will fit in the room you intend for it. Size is also an important consideration if you plan to run on your treadmill instead of walking on it. A runner's stride is longer than a walker's, so it's important to make sure that the treadmill's deck is long enough to accommodate your stride. Budget folding treadmills may be a good choice for walkers but are typically too short for runners. Runners don't just have a longer stride than walkers; they also have a heavier step. If you're planning on training for a marathon on your treadmill, you'll need a heavy-duty piece of cardio fitness equipment that will withstand your pounding feet. Durability is also an important consideration if you're particularly tall or heavy. A lighter weight, flimsier piece of running exercise equipment is fine for a 110-pound user but may not hold someone who weighs in at over 250 pounds. Although you can frequently find the best treadmill prices for these lighter models, you may need to splurge if you want something sturdier. If you're a casual walker, however, inexpensive models should be fine. Although many of a treadmill's features can only be evaluated in person, you can easily research the electronic features through a treadmill sale online. Think about which ones will motivate you and which will simply run up your budget. If you just want to walk while you read a book or watch TV, you don't need many fitness features, although you'll want to make sure that there's a convenient place for your tablet or e-reader while you work out. If you want a piece of cardio fitness equipment that gives you a custom-tailored workout, you'll want one that has a variety of programs with different paces, inclines, and intervals. If you go for one of these machines and intend to use it with your spouse or roommate, consider one that lets you program in different users so that you can each save a favorite workout. Another important consideration with electronic features is how much of a technophile you are. Does the thought of 30 different exercise programs excite or intimidate you? If you get overwhelmed at the idea of multiple exercise programs, you might also get overwhelmed at the idea of using that shiny new treadmill in the first place, and that means you won't use it. On the other hand, if you love the thought of having a cool exercise gadget to play with, bells and whistles may be exactly the motivation you need. Finding a treadmill sale online can help you to research models, but choosing the right treadmill in store will let you learn how it feels. One of the critical factors in its feel is shock absorption. When you run on the treadmill, it shouldn't feel too hard or too soft under your feet. It should feel stable and firm, but not jarringly hard. 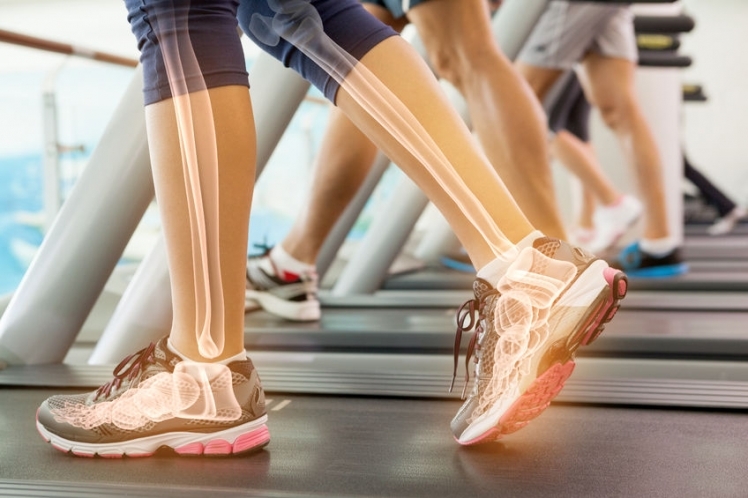 A soft, squishy feel to the treadmill deck will cause you to trip and stumble, and a hard deck can hurt your joints if you run on it for too long. 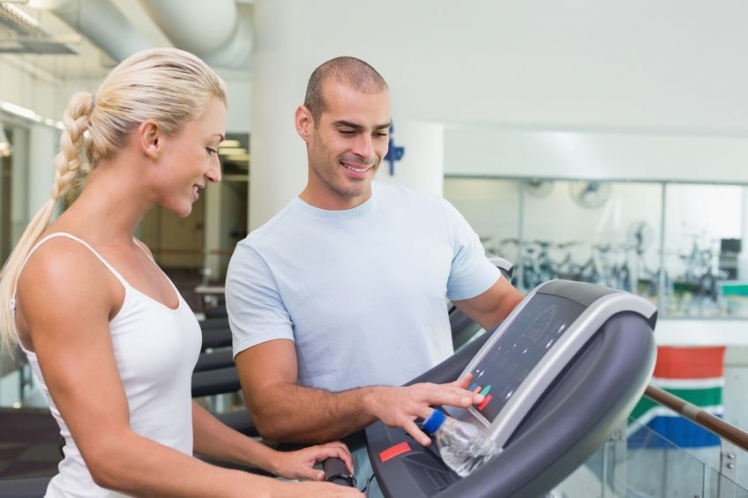 Some treadmills claim that their belts will automatically adjust their speed during your workout to make for a more comfortable, cushioned experience. If your joints tend to ache toward the end of your workout, you might want to try one of these models to see if it makes a difference. If it feels the same as the cheaper models to you, save your money. If it does feel more comfortable, however, it may be worth splurging. After all, the best treadmill prices in the world are a waste if you never use the machine because it's too painful. If you want to save money when choosing the right treadmill, a manual model may be a tempting offer. They're less expensive than their motorized counterparts, and because they don't run on electricity, your workout space doesn't need to be near an outlet. They're also safer in the sense that if you slip and fall, the belt won't keep moving, so you won't be thrown off the back of the treadmill. However, manual treadmills can be hard to start with your feet, and pushing against them can strain your joints. They don't come with electric features and because they slow down when you do, they don't make you push yourself in your workout. If you're tempted to get a manual treadmill because an exercise running machine sounds too expensive, try looking for a used motorized model to get the best of both worlds.